Get on to it and start! 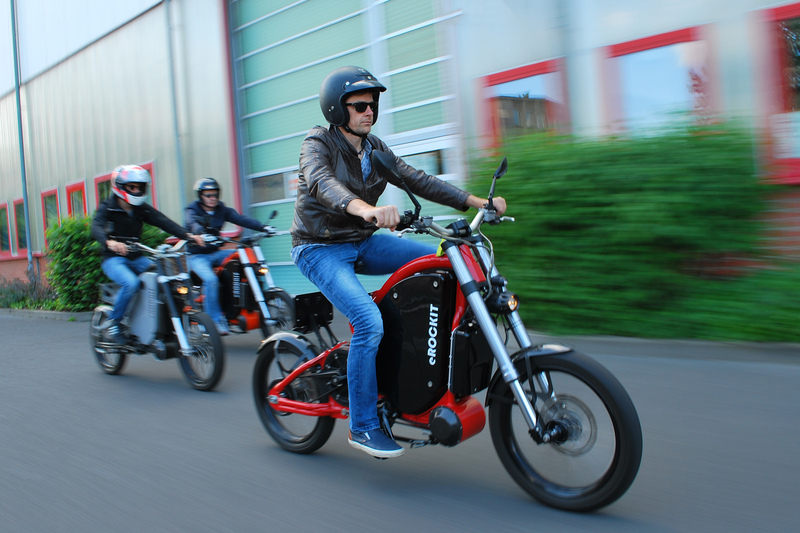 An electric motorcycle is revolutionizing the electric mobility industry with its intuitive drive system: The eROCKIT® is as easy to operate as a bicycle but has the performance of a motorcycle. With a few kicks in the pedals one can achieve a breathtaking acceleration and speeds of over 80km/h. 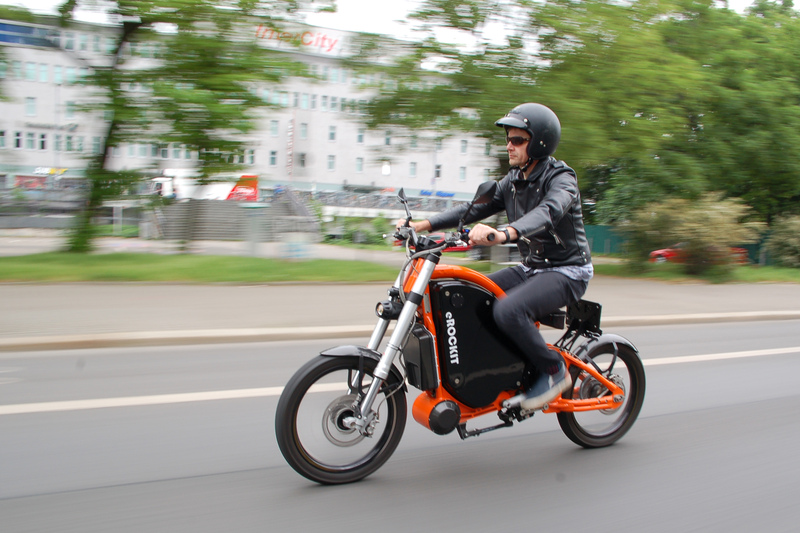 The fast and electric driving feel provides by far the greatest fun factor in the electric bike segment and is fundamentally different from all known electric bicycles, electric scooters and electric motorcycles. With over 120 kilometers of battery range, it is also an excellent commuter vehicle and represents a fundamental step forward in the emobility market. eROCKIT® is a Human Hybrid®, the combination of human / electric drive gives the unique eROCKIT® feel. Healthy because active, environmentally friendly because emission-free. Low noise emissions. The vehicle has successfully completed over 150,000 km of test drives. Road legalization has been done. Over 40 vehicles already operate throughout Europe. 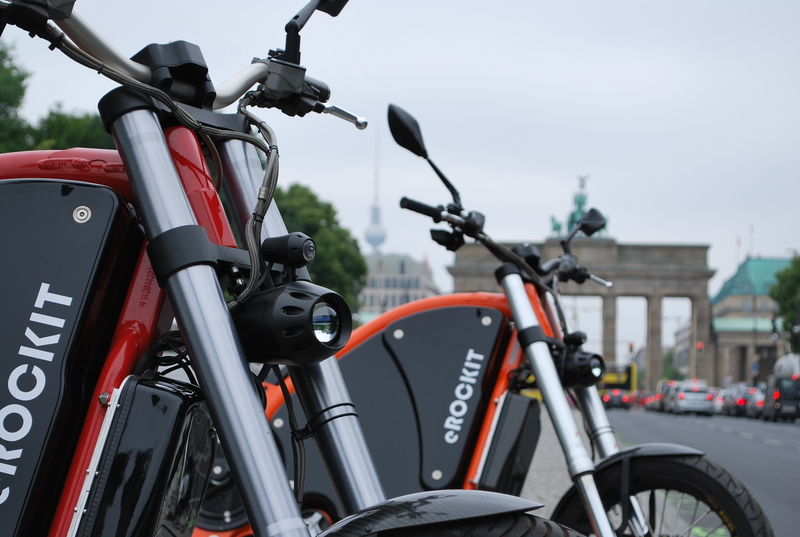 eROCKIT® enjoys a high level of attention far beyond Europe and has been awarded with prizes such as "Red Dot Award", " Ausgezeichneter Ort Deutschlands ", "Challenge Bibendum Michelin" and "US Ideas Award", which guarantee an important advantage in the market. While other road users are still at the traffic lights, the eROCKIT has already launched. The special function of the eROCKIT is based on muscle power multiplication: The eROCKIT electronics registers the muscle power used by the driver and multiplies it. Accordingly, the user experiences a breathtaking forward thrust while pedaling with relatively little effort. Thanks to the special eROCKIT drive, a maximum speed of over 80 km / h is possible. 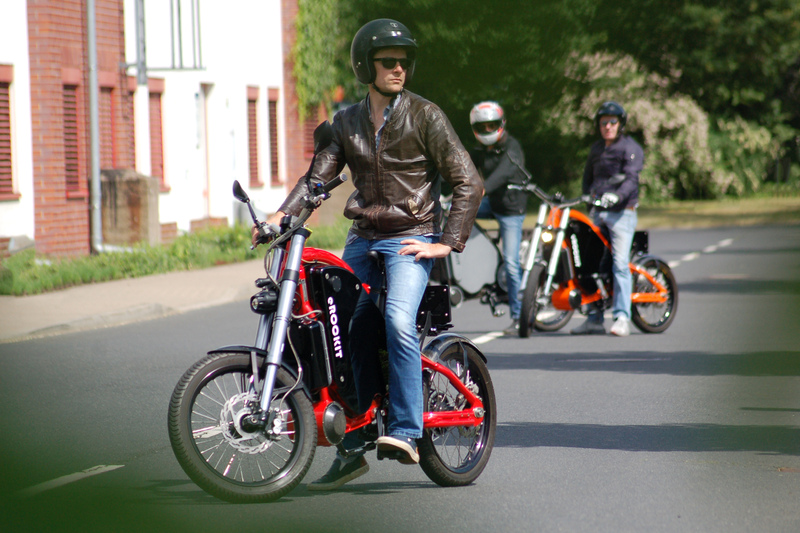 Thanks to modern battery technology, the eROCKIT runs completely emission-free. If you recharge your vehicle with green electricity, you drive even more sustainably. The driving experience is pure emotion. 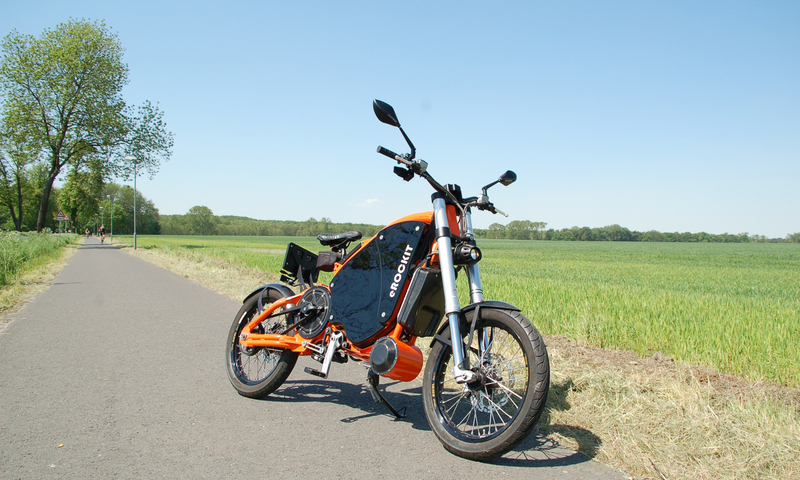 With a range of over 120 km per charge, the eROCKIT is the ideal commuter vehicle. Agile, flexible, silent and stress-free. Fast, electric acceleration, perfect driving dynamics and impressive road handling. Of course, with official street approval.